Cape Breton Island is located at the top of Nova Scotia, Canada. This place is considered to be the home of ancient culture and music festivals. The magnificent valleys and the beautiful mountains covered with tress have appropriately nurtured the heritage of this place. The beaches of this island offer several activities to the tourists like swimming, boating, surfing, kayaking and sand castle building. Celtic colors festival is the major attraction of this place inviting a large number of tourists to be its part and have fun. 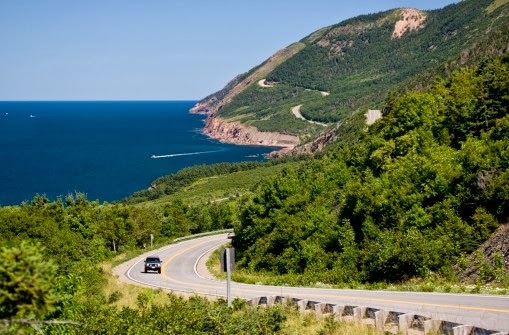 The guests can also enjoy the food, music and charm of the surroundings and outstanding drives at the Cabot Trail. The tourists mostly prefer to travel via Halifax, the capital city of Nova Scotia. There is situated the Halifax International Airport which operates flights from various locations. Cape Breton is situated a few miles away from this place and the visitors can take a bus or rent a car and reach their destination. There is also a small airport in Sydney, a place on the island. This fort is the oldest building displaying the unexpected treasures of the past. The visitors can get to know the traditions and rich cultural heritage of this place through the exhibits and displays in traditional format. This park is famous among the tourists for its magnificent landscapes and stunning beauty. This park also comprises of the Cabot trail which offers outstanding hiking area to the visitors. This long Cabot Trail is famous for the views of Gulf of St. Lawrence and the high tides of the Atlantic Ocean. This festival offers extreme fun and entertainment to the tourists. The visitors can become a part of this event and enjoy not only the Celtic music but also the folk music, jazz and other forms of music all round the world. Finding a comfortable stay with all luxuries is the most important thing if you want to enjoy your holidays to the fullest. Cape Breton is famous for its fine lodging facilities with delicious food. 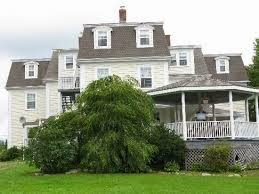 The best hotels offering good amenities to the guests comprises of Waverley Inn, DesBarres Manor Inn, Oak Island Inn, Surfside Inn and Seawind Landing. This town is also famous for its delicious dishes specially the lobsters. You can sit in any of the restaurants and enjoy the tasty meal. Entertainment and fun is at its peak in Cape Breton with the outstanding scenery and tasty food. Explore this place during your next vacations and enjoy to your fullest. Estepona is a coastal town situated at the western edges of the Malaga coast. This exceptional place is a famous tourist destination with a large number of visitors visiting every year. Despite so many activities in this region, it has beautifully maintained the charm and lifestyle of the surroundings. The long stretched marina and the beautiful mountainous regions of the town offer numerous delights to the visitors. The beaches offer several water activities including swimming and rafting. Other outdoor activities comprises of horse riding, hiking, climbing, cycling and sightseeing. The rich golf playing tradition of this place provides you an opportunity to play golf or watch a match at any of the golf courses. The two major airports which serve this place consists of the Gilbraltar Airport and an international airport located in Malaga named as Pablo Ruiz Picasso. These two airports offers scheduled services from major locations and allows the passengers to land at their holiday destination. 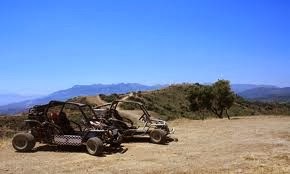 The Sol Buggy offers a ride through the picturesque countryside and enjoys the undiscovered beauty of this place. A ride through the ups and downs of the mountains develops a kind of thrill inside you. Starting from the destination crossing the mountains and Pueblo Blanco, this ride is an ultimate fun trip. This is a latest water activity offering tons of fun. 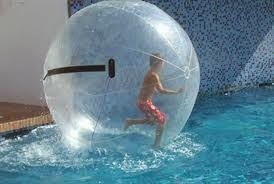 An aguasphere is a huge inflatable ball of about two meters that enables a person to enjoy water activities without getting wet. It is one of the best play things for kids as they can walk on the water without wetting themselves. This pathway is also called as the King’s Pathway. You can seek the help of the specialist tour guides while choosing this place for hiking or climbing. This pathway is pinned with some steep walls which offer a site for climbing. 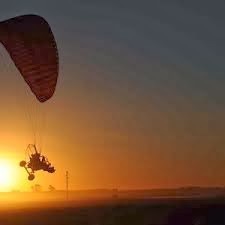 Paratriking or paragliding is one of the best adventures which you can look for. This activity offers you the amazing views of the whole countryside flying in the air. The tourists can find some fine lodging options in the city from high priced luxurious hotels to medium and low priced hotels and lodges. The hotels offer fine facilities and services to the guests and offer a comfortable stay. You can choose a hotel based on your budget and taste. This was all related to Estepona in detail. Hope it might help you while you plan your trip to this place. Visit this place and have a fantastic vacation. Puerto Rico is an island filled with natural beauty and wonderful treasures that can be discovered by you during your holiday trip. This Caribbean island is famous among the tourists for its spectacular beaches, lush rainforests, Spanish architecture, ancient fortress and museums. The warm waters of the sea also offer adventurous water sports like scuba diving, kayaking and surfing. There are some well known sites for hiking. 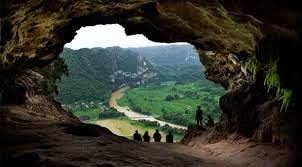 The Camuy’s cave is the best attraction of the island and is considered as a paradise for the explorers. Alternatively the tourists can have the pleasure of whale watching, horse riding and snorkeling. The main airport of the island is the Munoz Marin International Airport situated in Carolina close to San Juan. Other airports which serve this place include Jet Blue, Spirit and the Continental. These airports offer services to smaller airports in the city. The months from December to April are considered as the peak season when this island is crowded with visitors. These months offer favorable weather and warm climate which allows the tourists to explore this place in the best possible manner. If you want to visit this place in a calm atmosphere visit this island in the starting and ending of the peak season. This national rain forest is located a few miles away from San Juan. The tourist can enjoy a walk in these lush tropical forests and explore the diverse and abundant flora of this place. You can also go hiking on the several trails which include walking on the paths along with some difficult climbs. 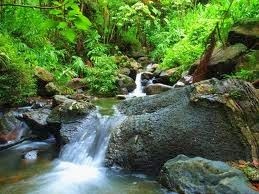 The forest also comprises of some magnificent waterfalls offering the guests to sit and relax in the lap of nature. This huge cave system is considered as the third largest caves in the world. A tour through these caves leads you to deep and underground subterranean ravines. 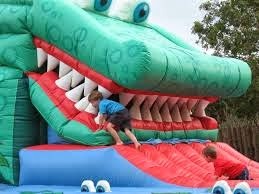 You can also have the adventures of diving in the deep sea with mud playing and much more. 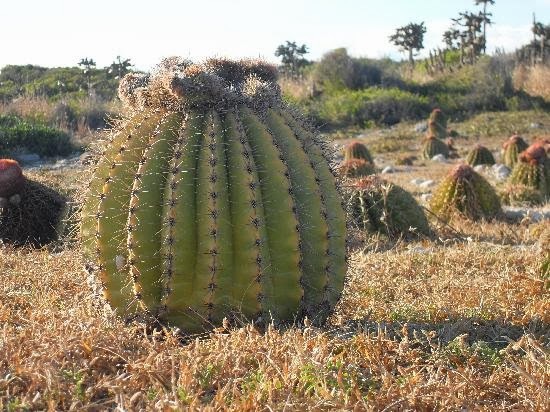 This bioreserve is located on the southwestern coast of the island. Spread in over 9,900 acres of land this place offers several seaside delights. You can have an interaction with the bullfrogs, hummingbirds and other rare species. There are several accommodating options from which the visitors can make their selection according to their budget and taste. You can also taste the traditional food of this island which includes pork as a major food. So, consider this place while making grounds for a holiday trip. come here and enjoy to the fullest. 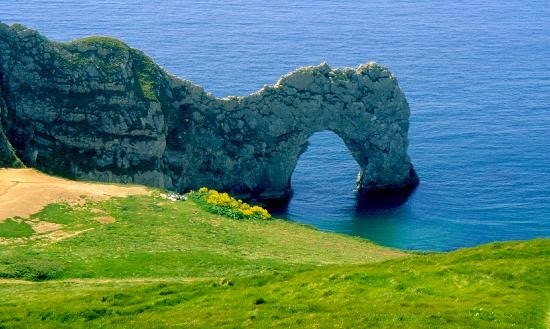 Dorset is located on the southern coast of England and is considered as one of the most popular holiday destination among the tourists. This place has a lot to offer to each and every member of the family. From the rolling hillsides, picturesque landscapes, indiscriminate beaches to the bustling towns this place is a country of magnificent beauty and lots of fun. The quiet and calm environment allows you rest in peace at the stunning beaches at the seaside. This place is also known for its holiday cottages which serve as the best accommodating options to the guests. The Bournemouth International Airport is the only international airport which serves this place and offers flights from several cities all over the world. The other airports which serve this place include the Bristol Airport and the Southampton Airport. The tourists can make bookings in any of these flights and reach their destination. This landscaped park is spread in over seven acres of land. This park is full of fun and delights with high roller coaster offering thrilling rides to spacious playgrounds offering a place to enjoy a picnic and relax in the lap of nature. The tourists can enjoy the Giant jumbo rides, caterpillar train, and caucus race enjoying in the park. They can also get an opportunity to meet Alice and other cartoon characters in this park. 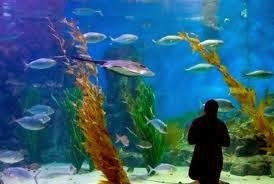 This underwater oceanarium is an award winning aquarium offering spectacular sites to the tourists. The mysterious underwater kingdom is worth exploring. You can have an encounter with the stunning sharks, sea turtles, colorful clown fishes and octopus. This amazing site should not be missed by you. 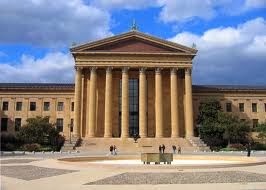 This magnificent building is considered as a Grade I site exhibiting the remarkable architecture of the artists. This building was built in 1830 and incorporates stunning medieval picturesque scenery with outstanding stone work. This place also serves as a venue for several exhibitions, outdoor events and concerts. The tourists can make their choice from a wide variety of hotels offering several amenities and charm to their guests. These hotels offer a perfect stay to relax and have a break. These hotels are a gift to the tourists visiting this place. Some of the fine ones comprises of the Christchurch Harbour Hotel, Abbots House, Summer Lodge, Avalon Beach Hotel and The Connaught Hotel. If you wish to have some more fun and privacy you can also go for the self catering cottages. These cottages are popular among the visitors. The spectacular scenery and fun content offered by Dorset is the reason of its popularity among the holidaymakers. You can also have the miraculous experiences of this place, just plan your holiday trip and visit this place. 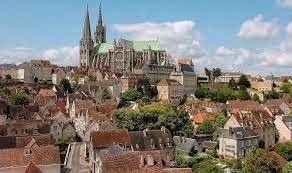 Burgundy is one of the most charming regions in France, often considered as the Land of fine art and living. The life here goes on at a relaxing pace offering healthy environment to the visitors to relax and enjoy the pleasures proffered by this place. The place has a rich architecture with remarkable castles, buildings and churches. It also offers some picturesque landscapes with natural beauty of forests and lakes. There are also some perfect spots where you can enjoy some interesting sports and go for fishing or riding. The best specialty and major attraction of this place is wine. Therefore, this place gains a prestigious place in the world for its lush vineyards and fine cuisine. Burgundy does not possess any commercial airport of its own. However, the tourists can reach this place by Paris airports serving the northern regions of this place and the Lyon St. Euxpery Airport serving the southern regions of Burgundy. 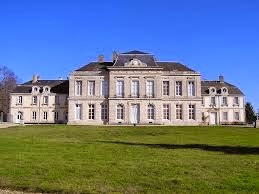 This chateau was the first chateau build in neoclassical style in Burgundy. This castle was designed by Dumorey and boasts about the beautifully crafted unique Grand Salon and the magnificent gardens. The tourists can look forward towards guided tours to this place and view some amazing sites related to history. Considered as one of the oldest monasteries in Europe, this Cistercian Abbey was founded in 1118. The outstanding Roman architecture of this place still holds its importance and beauty. 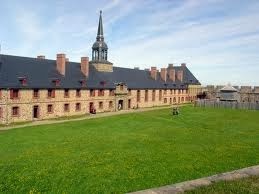 The several sections of this place consist of dormitory, church, council room, cloister and forge. Several cultural activities are also organized from time to time at this Abbey. This beautiful park is spread across 400 hectares of land. This park is the home to about four hundred animals including wild boar, deer, mouflons and bison. This collection of caves ate considered as the most prehistoric site of Burgundy. These caves are located at the Cure River and contain some marvelous paintings displaying the animals living in this region at that time. You can also see the hand imprints of the native inhabitants of the caves. Guided tours are also available to this place. So, this was all with respect to Burgundy. You can also plan your trip to this place and have the outstanding pleasures of discovering the history and spectacular architecture of this place. This place has a lot to offer to the visitors with best cuisine and remarksable wines. So, consider this place while thinking of a holiday trip and enjoy to the fullest. Philadelphia is situated in the south eastern region of Pennsylvania, on the fringes of Mid Atlantic area. This city is considered as the fourth largest city in USA. The history and culture of this place are its wealth and is recognized as the birthplace of democracy and liberty. It is a perfect mix of art, culture, history and amazing architecture offerings all sorts of pleasures to the visitors. On your trip, you can explore the beautiful neighborhoods, spectacular museums, outstanding collections of the artifacts and vibrant nightlife. There are also some zoological gardens and national historical park offering fun content to the kids. This place is mainly served by Philadelphia International Airport which is the largest airport located in the Delaware Valley. All the international and domestic flights from the major countries land at this airport. The tourists can easily reach this place via airways. Alternatively, the visitors can also fly to Newark International Airport or Baltimore-Washington International Airport which are connected to this holiday destination. 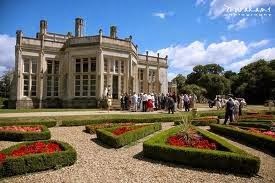 This museum has a huge stellar collection of some famous artists like Monet, Picasso, Pissarro, Rodin and Van Gogh. Numerous rooms are based on theme and display some international artifacts and art including the Collection in the Country by Thomas Eakins’s. The liberty bell center is the most visited attraction of the city. This place offers the visitors to gain some knowledge regarding American Freedom and view its symbol in the form of a bell named as the Liberty Bell. Though you cannot touch the bell, you can get yourself photographed standing beside it. 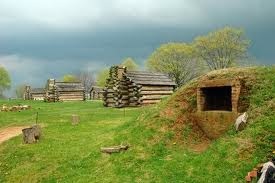 This historical park is one of the well known Revolutionary War Landmarks of the nation. But now this park has been converted into a natural paradise offering picturesque scenery to the nature lovers. 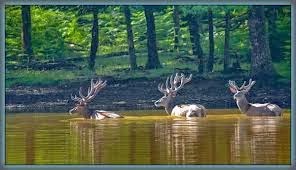 While strolling through the park you can admire the natural habitat of the deer and several other animals. As the name suggests this place is full of magical art and sculptures. The folk art atmosphere of the garden showcases the amazing work by Zagar. The Magic Gardens comprises of a mosaiced indoor lobby and an outdoor mosaic sculpture of the Labyrinthine. There are plenty of facilities available to the visitors as far as their lodging is concerned. They can find several hotels with fine services and dining facilities and can make their selection depending on their likings and the budget. After reading the above article, we can say that Philadelphia is a perfect place offering something to every member of family irrespective of their place. So, do pan your next holiday trip here and have exciting holidays. Holidays are the best way to take a break from the regular busy life and relax in a calm and quiet place. Some people take a holiday trip to have some adventures and lots of entertainment. 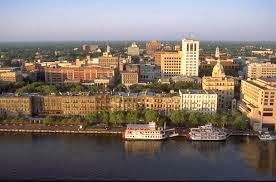 If you are also planning for such a trip and want to have an excellent time, you can plan your trip to Savannah. There are lots of fascinating things offering something for everyone. From the oldest museums, amazing architecture to relaxed sightseeing and ghost tours, this place is a well known place as a holiday destination. Also the deep routed cultures and the stunning facts of the history results this place as a must see destination. Savannah/Hilton Head Island International Airport is the main airport located in the historic district of Savannah. The airport is beautifully designed with glass covered squares along with the benches and shops providing comfortable journey to the tourists. This airport offers an easy access to this place. 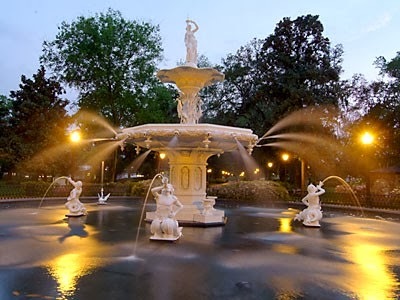 This park is considered as one of the oldest and largest park in Savannah. There is beautiful fountain located at the center of the park which decorates the park and increases its beauty. The majestic beauty of this park is awesome which can be viewed by the visitors relaxing at the benches under the oak trees. This place is considered under the various ghost tours provided by the city. This mesmerizing graveyard is a must visit place due to the intricate beautiful funeral statues including the famous statue of a six years old girl. The Telfair Museum is the oldest museum of public arts. It presents a huge collection of European and American paintings, crafts and sculptors. This museum is broadly categorized into three parts. 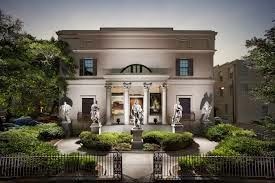 The first one is the Telfair Academy of Arts and Sciences which is a National Historic site, the second one being the Owens-Thomas House and the third part known as the Jepson Center for the Arts. These three sections of the museum serve as a preserve for ancient collections of utmost importance. The river street is located at the banks of the Savannah River. This street is always crowded with people enjoying the spectacular views of the river and the surroundings. The city is at its sweetest with the cobblestone streets, open restaurants and oak trees adding to its scenic beauty. Consider this beautiful place while planning for a holiday trip. Savannah is going to offer you some remarkable experiences for your lifetime. 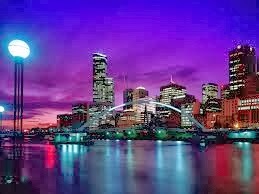 The second largest city and the capital of the south-eastern state of Victoria, Melbourne is the cultural capital of Australia. It is famous for its Victorian-era architecture, shopping malls, extensive parks and gardens, museums, theatres and galleries that will leave you simply awestruck. Melbourne is easily accessible by air, rail, tram and bus routes and so getting around in Melbourne is not a problem. The Melbourne automatic ticket system with encoded electronic tickets called Metcards applies to travel in trains, trams and buses. Located on the south bank of the Yarra River, it is a large casino and entertainment centre. Spreading over 510,000 m² that is equivalent to 2 city blocks, it is largest casino complex in the Southern Hemisphere and also in the entire world. The six main casino games that can be played here are - Blackjack, Craps, Pai Gow, Poker, Baccarat and Roulette. Situated on the Southern Ocean and Antarctic aquarium in central Melbourne, Australia it stands on the banks of the Yarra River beside and under the Flinders Street Viaduct and the King Street Bridge. 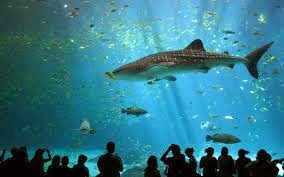 You will get to see here giant sharks and stingrays. Melbourne Aquarium Seahorse Pier exhibit is not to be missed. Melbourne aquarium lies within a short distance from other local attractions like Crown Entertainment Complex and Southgate Leisure Precinct. A skyscraper standing tall with a height of 297.3-metre on the heart of Southbank in Melbourne, Victoria the tower was opened in August 2002. The tower has been named after Eureka Stockade, a rebellion during the Victorian gold rush in 1854. The The Eureka Skydeck is on level 88 set at a height of 282m having the fame of being the highest public observatory in Australia and the Southern Hemisphere. 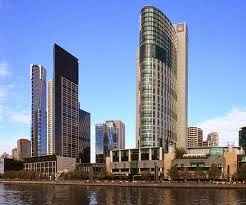 There are very many luxury hotels in Melbourne. If you are looking for accommodation on the cheaper side there are a network of guest houses, motels, backpacker hostels, caravan parks, home-stays and residential colleges that you may try. With so many interesting places to visit and other options of recreation and entertainment, a trip to Melbourne will leave you with unforgettable experiences.